CMSI REDWOOD EMPIRE ROOM PHOTOS! 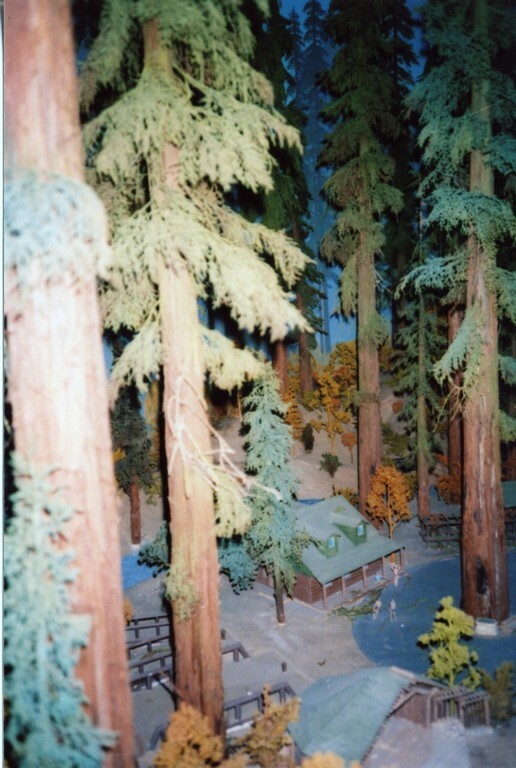 In 1992 or early '93, while working [at Big Basin] as a ranger, I came across files indicating that the diorama existed in the LA Museum of Science & Industry and that at one time staff considered trying to acquire it for inclusion in the "new" nature center at the park. 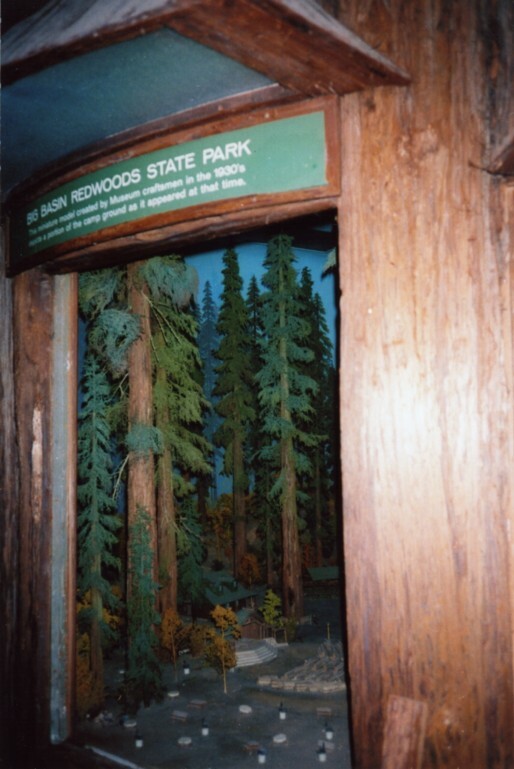 That never happened, and I wondered if it still existed since we wanted something to put in the then empty Sempervirens Room. 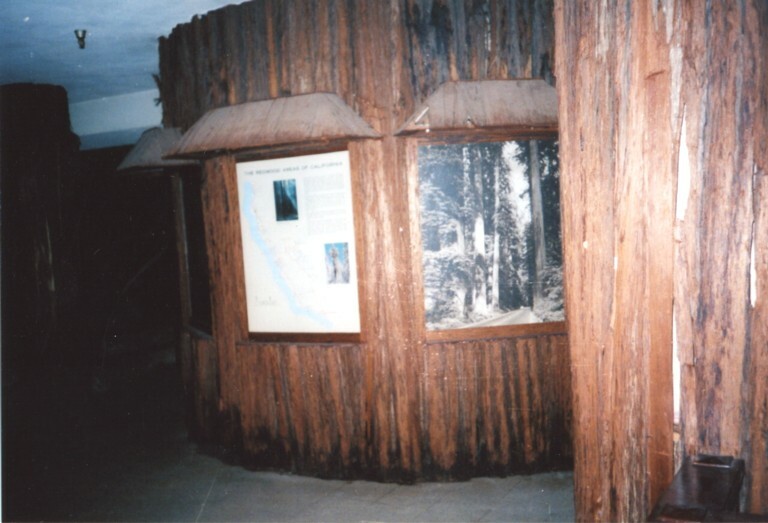 A call to the museum revealed that it existed but the wing it was located in was scheduled to be demolished and the diorama would be destroyed with it. 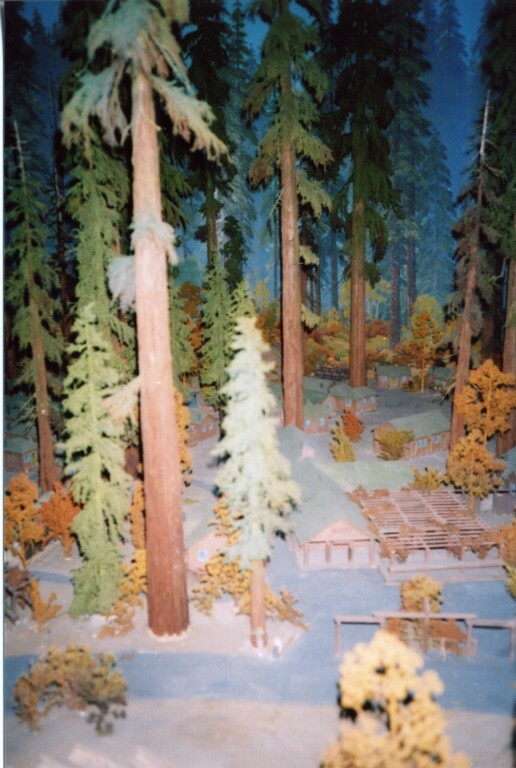 Due to the historic nature of the diorama, I hated to see that happen and got permission to travel to LA to view the diorama. 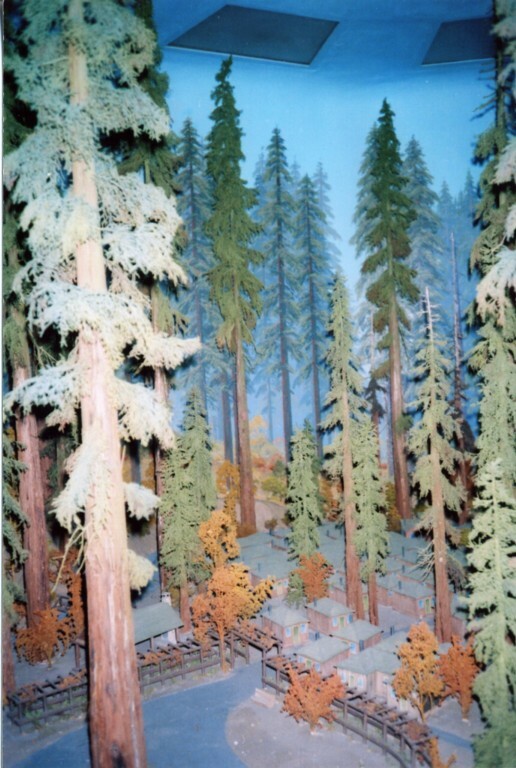 Maintenance Chief Jack Kirchner and I made two trips south, first to assess the diorama's condition and then to package up the pieces for transport. 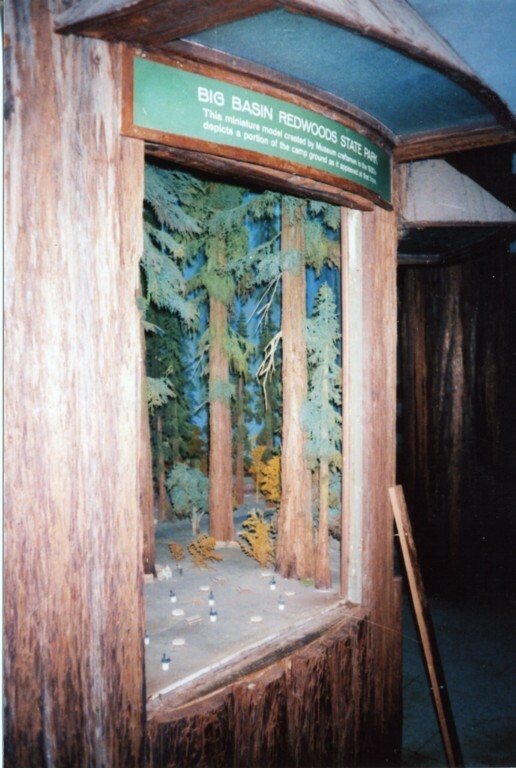 The pieces were trucked to the park and the diorama was reassembled in a new display case. I had promoted out by then, and the project was carried on by Ranger Steve Oka (now retired) with assistance from Elizabeth Hammack. 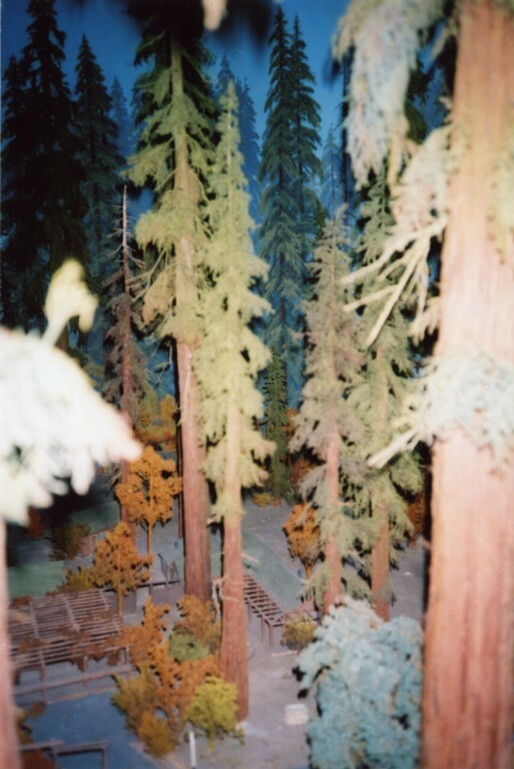 When Jack and I disassembled the original diorama, we took lots of photos so that the pieces could be placed in similar positions in the new display case (the old one was way too big to move). 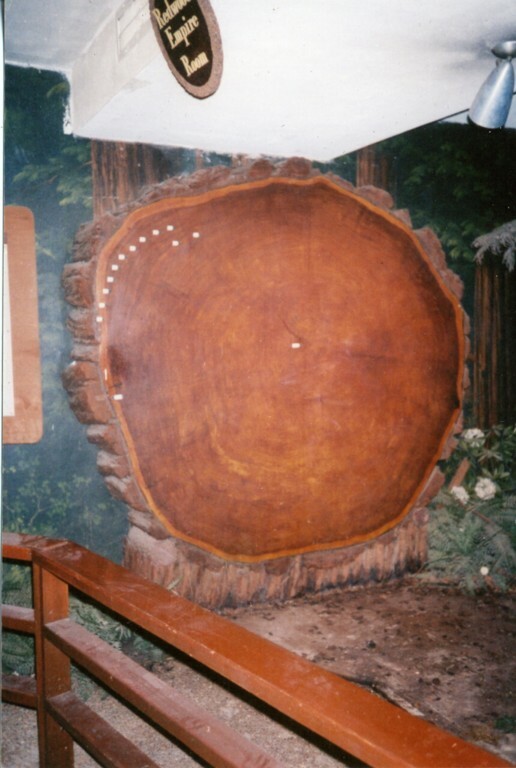 The redwood round outside of the Sempervirens Room is also from the LA museum. It was also going to be thrown away so Jack and I grabbed it since the current one at Big Basin was badly decomposing. This one was in great shape since it had been displayed indoors. 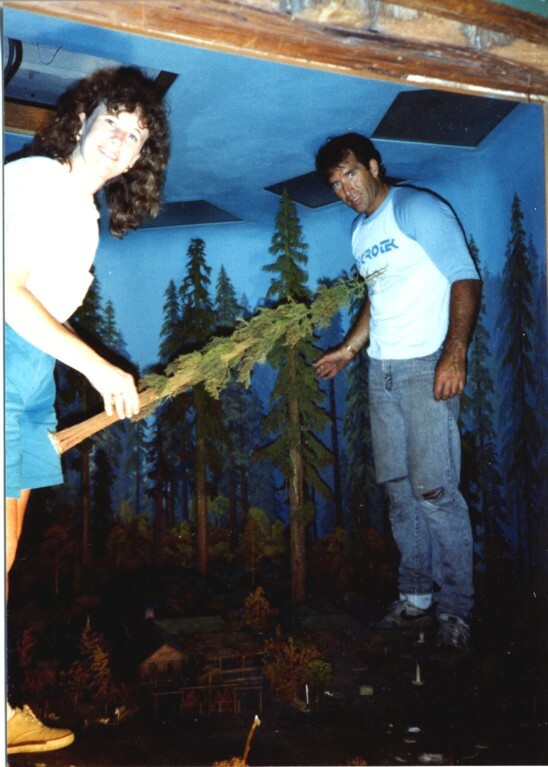 With appreciation to Superintendent Susan Grove (pictured in the last photo, below, with Maintenance Chief Jack Kirchner) and Park Interpreter Carolyn Schimandle of Big Basin for these photos of the Redwood Empire Room in its original CMSI basement installation. THANK YOU for rescuing such an important part of CMSI! Please stop by Big Basin and say "Hi"! SEE PHOTOS OF THE EXHIBIT IN ITS NEW HOME!